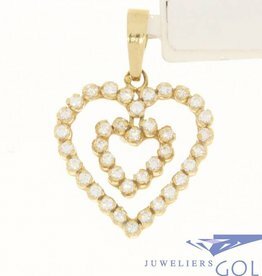 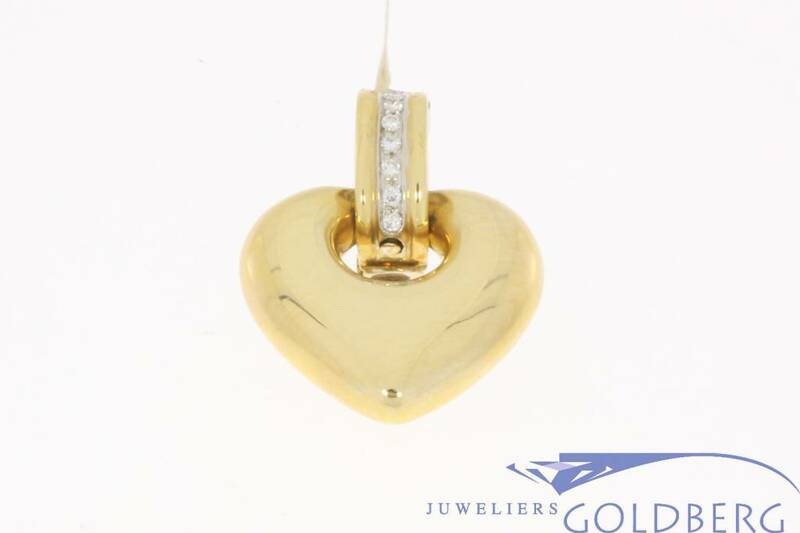 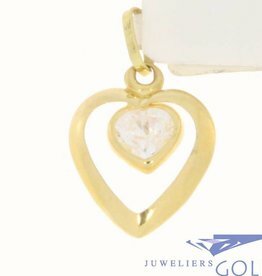 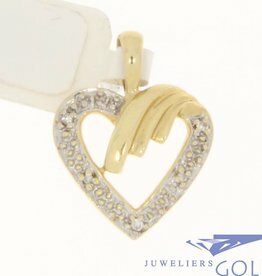 Very beautiful, elegant and sturdy vintage 18 carat gold heart-shaped pendant with a total of 0.32ct brilliant cut diamond. 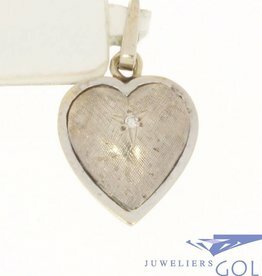 The slightly heart-shaped pendant is spherical in shape and has a large opening in the middle on which a large eye is attached. 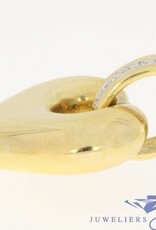 In this eye, 8 approx. 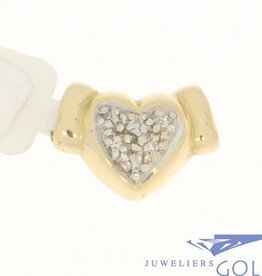 0.04ct brillant cut diamonds are placed: In total approximately 0.32ct. 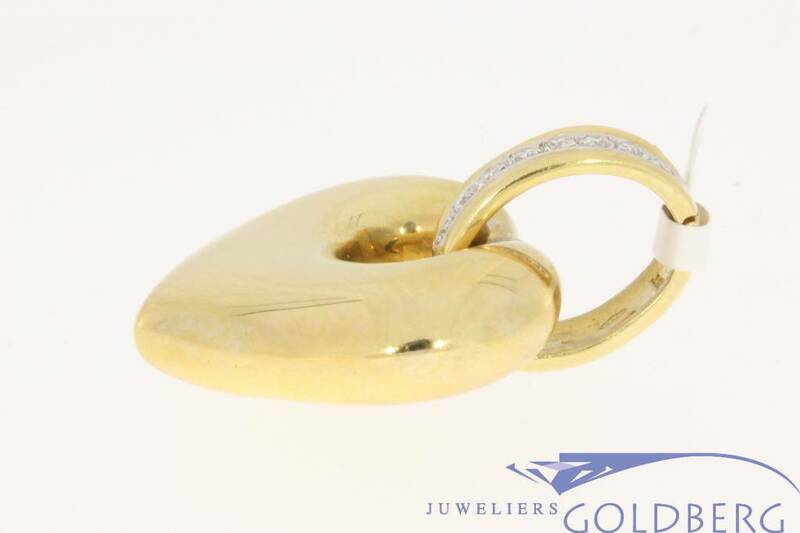 The eye through which a chain can be strung has a minimum diameter of 11.2mm. 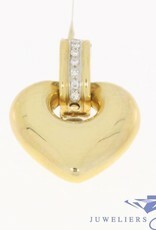 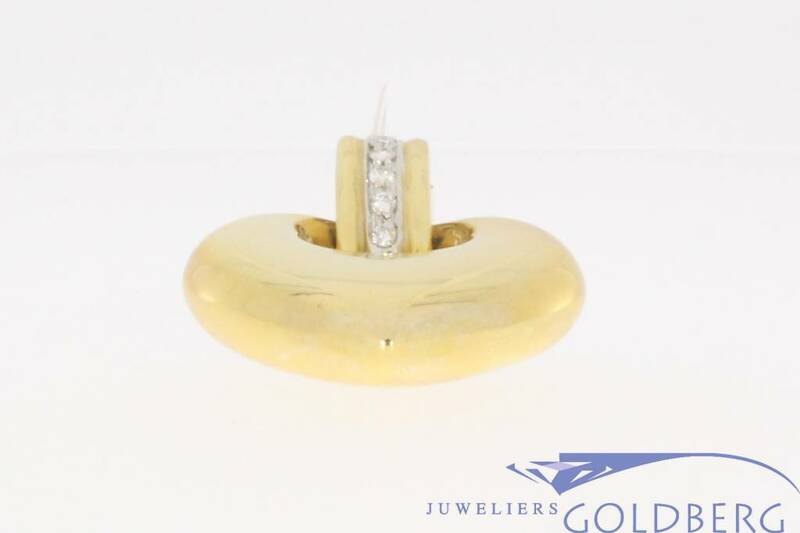 The length of the entire pendant (including the eye) is 40 mm, the width is 29.6 mm and the weight is 18 grams.